When planning to give crystal awards and trophies to employees or associates, one of the most important things to consider is how it represents your company. To this end, it pays to be mindful of ways to customize the award such as its shape, style, engraving, and accents like color or metal details. With its enthralling brilliance and peerless luster, crystal is a popular material for awards and trophies. It serves as a tangible reminder to deserving employees and other recipients of the success they worked so hard to achieve. Also, unlike other precious materials, crystal is easier to personalize as it’s easy to tint it with a variety of colors. When you choose from various designs for your crystal awards, make sure to choose a symbol that’s relevant to your organization. For instance, if your company values passion above all things, it may be best to choose a trophy shaped like a flame to symbolize it. On the other hand, if your company operates in a building with a distinct design, you can ask the crystal manufacturer to make a replica of the building. Doing so will not only make the award more connected with your organization, but it can be like a keepsake the recipient can treasure for a long time. If you decide to go with a completely unique design for your award, keep in mind that crystal can be tinted will all kinds of colors. But before you decide on what colors your award will sport, ask the manufacturer about what tints it offers. Make sure to hand out a crystal award that is meaningful by making sure its design goes with your business or organization. This way, the recipients will feel that you have put much thought into it, making the award all the more valuable. Leading manufacturers of crystal products like Crystal Plus can customize awards and trophies for your organization. 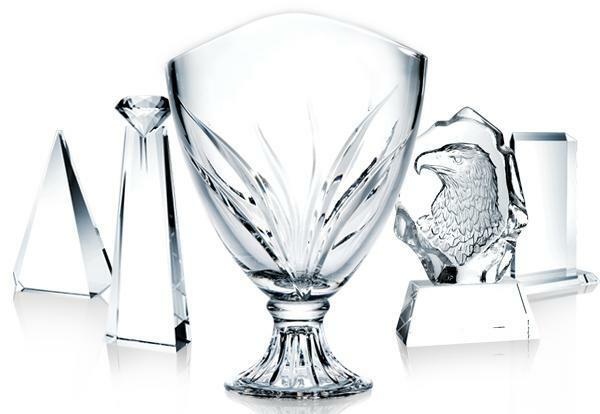 Aside from offering trophies in various shapes and styles, free engraving, and a variety of accent options, the manufacturer can also create new crystal awards from original artworks. Learn more at CrystalPlus.com or call 888-779-8803.